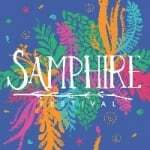 Thank you for supporting Samphire Festival 2017 on Crowdfunder. The project you supported also benefited from funding from Crowdfunder partners Arts Council England and Nesta. Only 48hrs to go. Can you help us get the last 15%?! Thank you so much to everyone who has supported Samphire so far, our campaign is nearly finished and we're so close to our stretch target! If you've got someone who might be keen now's the chance to get them to grab a ticket before the campaign closes in 48 hrs. Thanks to all those who have pledged so far! Thank you - we're over halfway there! We're halfway through our campaign and over 55% of our target! THANK YOU for backing us for Samphire 2017.